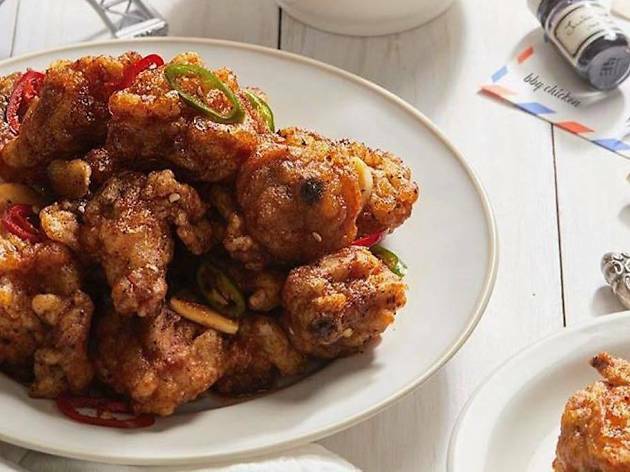 Although the name might point to a different kind of preparation, the latest addition to the Chinatown chicken scene is all about Korean-fried bird. 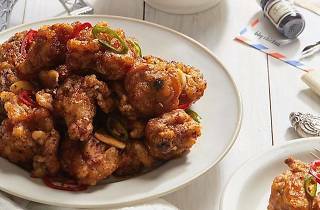 Unlike other spots in the city that limit wings and thigh offerings to soy garlic and spicy, bbq’s menu offers up birds fried in olive oil, tossed in a combo of mascarpone and cheddar along with red hot and honey garlic. Choose from boneless or bone-in and don’t skip the delicious pickled daikon on the side.